F. Thorn 07 October 2014 Mobile Phones, Windows Phone Be the first to give your opinion! 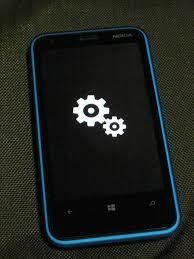 A new firmware revision 3058.50000.1424.0003 has been rolled out for all those Windows Phone 8.1 (8.10.14176.243) Developer’s Preview users and finally after checking the “extra+info” option under “settings” it can be seen that the old Lumia Black has now changed to Lumia Cyan. 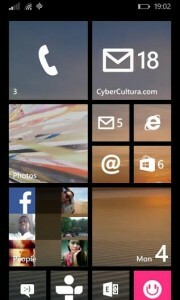 F. Thorn 01 October 2014 Mobile Phones, Windows Phone Be the first to give your opinion! Yesterday Windows 10 was announced and a clear “yes” was heard to the question: is Windows 10 the next version of Windows Phone as well?, that answer might not make it official or give many details but it says that those are the plans that Microsoft have for their mobile OS. F. Thorn 30 September 2014 Mobile Phones, Windows Phone Be the first to give your opinion! Today Microsoft has released Windows 10 Technical Preview which intends to be the universal Operating System for Mobile devices and computers. 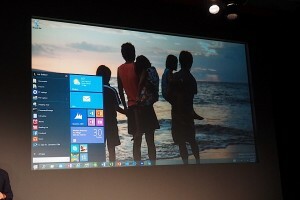 Windows 10 seems to remind us of Windows 7 having a "Start Menu" that this time would be resizeable and customisable. A new update has been made available to the Windows Phone users and it is expected that this time it will solve the infamous error 80188308 and will prepare things for the Lumia Cyan update for all those Developer Preview users. F. Thorn 09 September 2014 iOS Devices, Mobile Phones Be the first to give your opinion! Hoy 9 de Septiembre de 2014 Apple ha hecho varios anuncios importantes acerca de los nuevos dispositivos disponibles para este año y para inicios de 2015. Se ha anunciado el iPhone 6 de 4.7 pulgadas y el iPhone 6 de 5.5 pulgadas disponibles para pre-orden a partir del 12 de Septiembre de 2014 pero disponibles para la compra a partir del 19 de Septiembre en: Estados Unidos, Francia, Hong Kong, Canadá, Alemania, Singapur, Reino Unido, Australia y Japón. F. Thorn 01 September 2014 iOS Devices, Mobile Phones Be the first to give your opinion! Información publicada a inicio del mes pasado daba detalles acerca del soporte para NFC y un acuerdo con Visa con la intención implícita de derrotar a Paypal en el sector de pagos en línea. Esta semana, el sitio web de Bloomberg ha informado que se ha firmado un acuerdo entre Apple y los proveedores de tarjetas de crédito: Visa Inc., MasterCard Inc y American Express Co. para permitir pagos móviles a través del chip NFC en el nuevo iPhone. 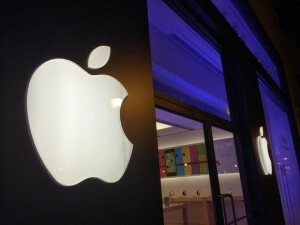 Following the news that confirmed the NFC chip and spread rumours about an agreement with Visa to beat Paypal, this morning, Bloomberg confirmed that Visa Inc., Mastercard Inc. and American Express Co. have signed an agreement with Apple to allow mobile payments using the NFC (Near Field Communication) chip included in the new iPhone. F. Thorn 29 August 2014 iOS Devices, Mac OS X Be the first to give your opinion! 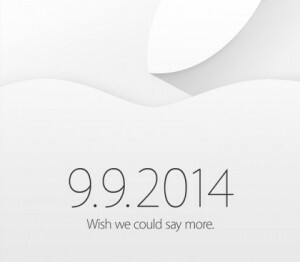 Ayer, Jueves 28 de Agosto de 2014, Apple envió invitaciones para un evento a realizarse a las 10 de la mañana, esta vez no en el Yerba Buena Center (en San Francisco) sino en el Flint Center for Performing Arts en Cupertino. Yesterday, Thursday, 28th August 2013, Apple sent out invitations for an event being held at 10.00 am, this time, not at the Yerba Buena Center in San Francisco but at the Flint Center for the Performing Arts in Cupertino. F. Thorn 22 August 2014 Mobile Phones, Windows Phone Be the first to give your opinion! 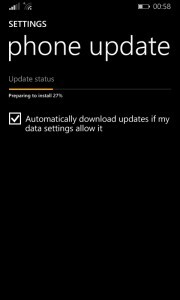 Algunas actualizaciones de Windows Phone 8.1 Developers Preview pudieran no ir como se espera y como resultado nuestro teléfono podría parecer dañado para siempre o al menos inutilizado hasta hacer el famoso "hard reset". En este video te mostramos como resolver el problema de las dos ruedas o engranajes girando infinitamente.